I have a new boat in my stable! 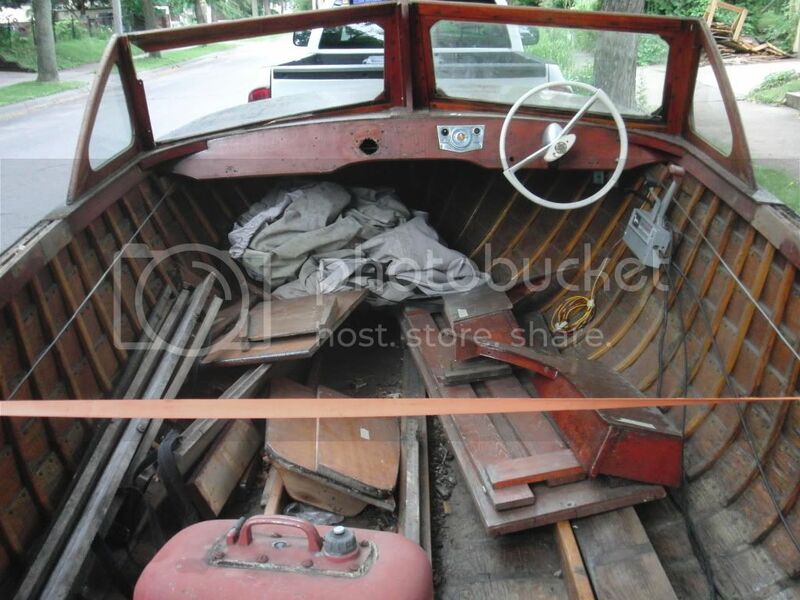 A 1959 Thompson Bros. Boat Mfg. Co. (Peshtigo, WI) 15'-10" Sea Coaster model 475. She's rotten to the core. She'll just get put into storage and be in line for a someday restoration. She had a 1967 Evinrude 60 HP outboard on the transom. 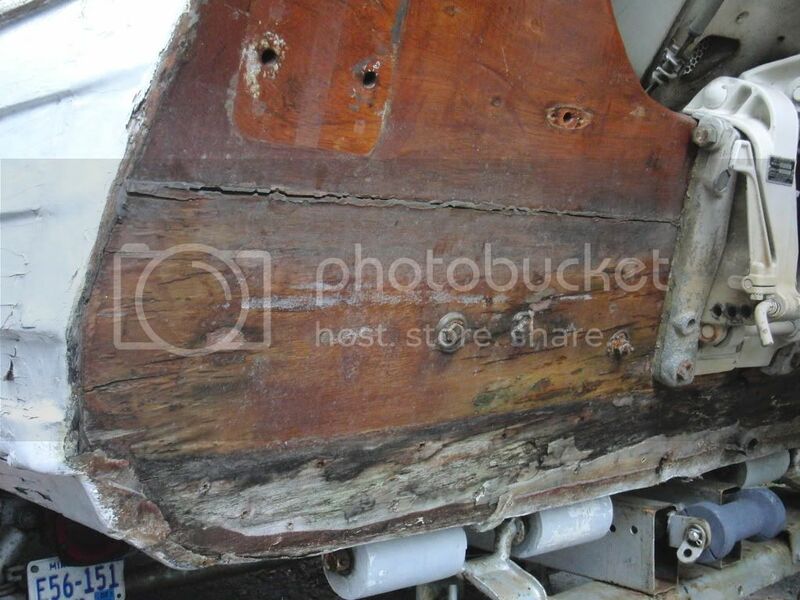 I am surprised the rotten transom didn't cause the motor to fall off! I removed the motor today to releave pressure on the transom. Trailer is a littel guy, maybe a Tee Nee. 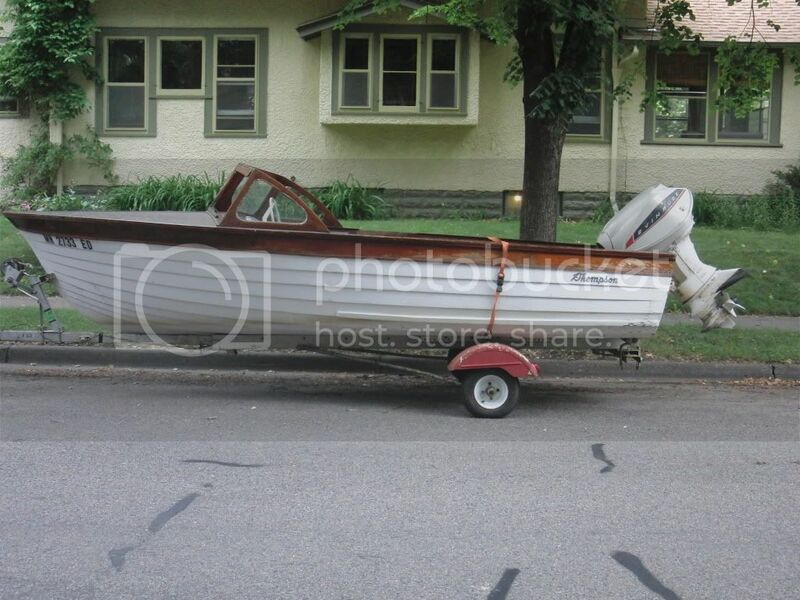 Boy oh boy is this boat small compared to the '59 Sea Lancer which is only 14 inches longer. The Lancer has a much higher freeboard and is beamier.